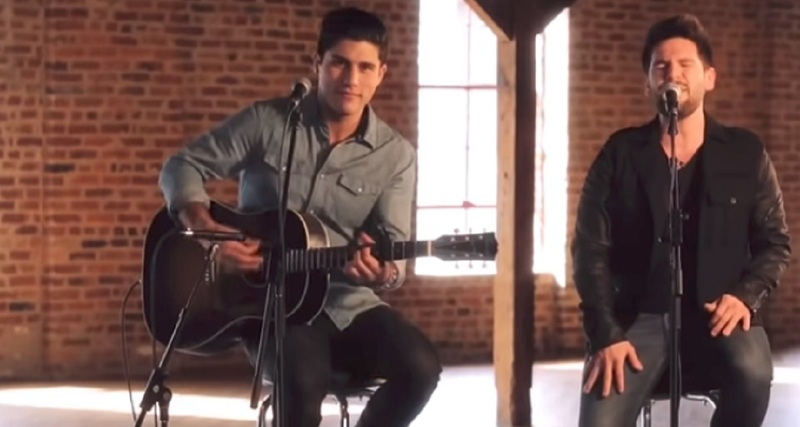 Enjoy watching Country Music duo Dan and Shay's live performance of "Show You Off" and stream the album here . . .
Dan and Shay Show You Off was released in 2014 as a track on their “Where it all Began” album. Click the “play” button below to preview the album (then click “listen” to stream the album from your music service of choice). Watch the live performance video, the audio video and check out the lyrics below. Sunshine pouring right into my window. Better than the other, hm, side of the pillow. Yeah, I’m taking you out ’cause damn baby I’m proud. Showin’ everybody what I’m crazy about. Ey oh ey oh, anywhere we go, ey oh ey oh, gotta let ’em all know. Baby I just wanna show you off. Yeah, girl I gotta see you tonight. Pick you up about 8, countin’ down I can’t wait. What I’m gonna do, yeah.